It is that time of week again. 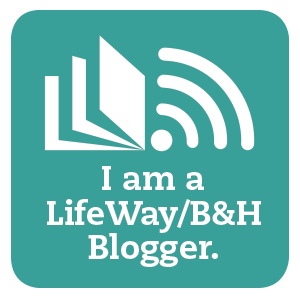 After thinking and praying on this one, I was reminded that I had promised back in August to share how I assemble my lesson plans! I do not know if my manner of planning is unique... I do know, by observation, I tend to do things a bit differently then most. I am a curriculum junky. I am trying to recover! Last year I spread the table full of books and worksheets in order to assemble a complete curriculum for the year. It was borderline overwhelming and, while it worked (mostly), it was a lot to cart around and keep track of. Especially when we moved. This year, as I spread my addiction out across the table, (much of it I have been blessed with for FREE) I began to see a need for change. I bet you thought I was exaggerating until you saw the pictures! And this was just Language Arts! There are so many good books and programs out there, picking one was hard. But picking one brought me peace. Praying over, realizing, and seeking that which would grow my children not only in knowledge of man but in knowledge of God was what helped me narrow down the choices. Organization was so much easier once I committed to that course and selected what I would stick with. I keep notes each year. At the beginning of the year I take a notebook page, I pray over the year and I journal what we hope to achieve based on what God puts on my heart as most important for focus. This helps give us a bulls-eye to pick and shoot our arrows of education at! I also journal any thoughts at the end of the school year as to what did/didn't work and possible ideas for the following year. My notes usually only take up 1-2 pages and I keep them in the back of my lesson planning binder. It is amazing how the little bit of time I take for those few notes really blesses and reminds me and grows our homeschool from year to year. Next I take my year in overview. This helps me to see, like a road map, where our year will take turns. Weeks off, such as Thanksgiving and Christmas break, and other events that will require planned time off. I don't like to start new units the week before a break. This helps me to avoid doing that. I simply shade weeks or days off and draw small images to indicate other areas we might want to center some lesson plans around like seasons, holidays, etc. And finally, I start planning! I use what I call a 'list method' for writing lesson plans. I have tried to plan them according to days, like a traditional public school teacher might. However, I have found those types of plans more difficult to keep in a homeschool environment and all of our plans, like a house of cards, quickly come tumbling down. If kids are sick (or mom is sick!) or we have to go somewhere; a week planned in a weekly planner keeps all the subjects so intertwined you can't untangle them without upsetting the balance. (Not referring to holistic Notebooking or Unit plans, which I completely love! I have a system for those too!) With all subjects on one page, missing an afternoon or entire day or even week, would cause me to have to re-write the missed lessons into the next week and my entire planner began looking like a muddled mess. List planning allows us to plan chronologically. Unlike the traditional planning, if we miss a beat the whole rhythm is not off. We just pick up where we left off... no re-writing or scribbling out in the lesson planner! I simply put a check-mark in the far right column when the lesson is done. These were last year's plans. I do color code the units/lesson numbers in the left column to see where one begins and ends. I also notate where we hope to be in conjunction with holidays and breaks but this is not inked or set-in-stone. I try to remember to stay flexible and even plan some down-time in case we are a bit off. A homeschooling mom once said, "If you can't fit that science in every day, give it a couple of hours one day a week and forgo other subjects." I do this if we start falling behind in an area. We simply take a day off to pace ourselves towards catching up in that one subject. The other thing I do on my lesson plans is write in a KEY at the bottom of the page to abbreviate other materials we may be referencing or using through out the year. It is much quicker to write into my lesson plans this way and if I forget because we haven't used a particular book in a while it is easily found at the bottom of the page. Any lessons that required worksheets are also referenced and housed in a file ear-marked with the lesson number. A month into the school year and I can honestly say this system has blessed us and saved this mom A LOT of time. Last year I would spend almost all of Saturday collecting worksheets, filling out incomplete lesson plans and preparing for the following week. It took up a lot of space and time. Not always fun when other things might be going on. Yes, I would love all this done for me. However, buying lesson plans AND teacher manuals AND student texts and workbooks is much too far outside my budget. I LOVE to organize (I bet you didn't know that!) and feel God has gifted me with that desire so I can take what I can afford or find and make it something more. It took me 2 weeks to organize 5 subjects for 3 kids for an entire year. I feel it was time well invested. I do believe next year will take even less time since a few days of those 2 weeks were spent coming to terms with the fact that ALL those materials did NOT need to be used and then figuring out what to PURGE! Next year I will gladly and readily submit to the simplicity it took me so long to come to terms with this year! My kids, if they knew, would thank me for this. They are really enjoying school this year, even more than previous years. And so is this teaching mom! I pray all your school days are simply and prayerfully organized. 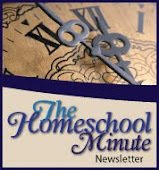 Remember, God cares about your organized homeschool too! Let Him help you, it is never too late to start!